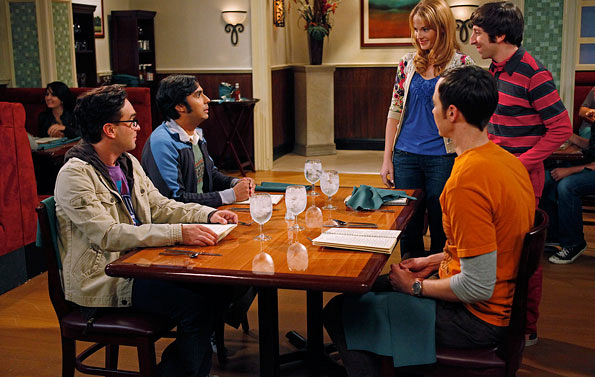 Raj finally meets a girl he can communicate with, on THE BIG BANG THEORY. Pictured (left to right): Johnny Galecki, Kunal Nayyar, Katie Leclerc, Simon Helberg, Jim Parsons. Photo: Greg Gayne/Warner Bros.